Choose your patty, with melted American cheddar, corn & black bean salsa, guacamole, coriander & sliced jalapeños, chipotle aioli and house made corn tortilla chips! YUM! Get The Cali half price every Monday and Tuesday with the purchase of any drink! The Cali is available 27/3/19 – 12/5/19, or while stocks last. 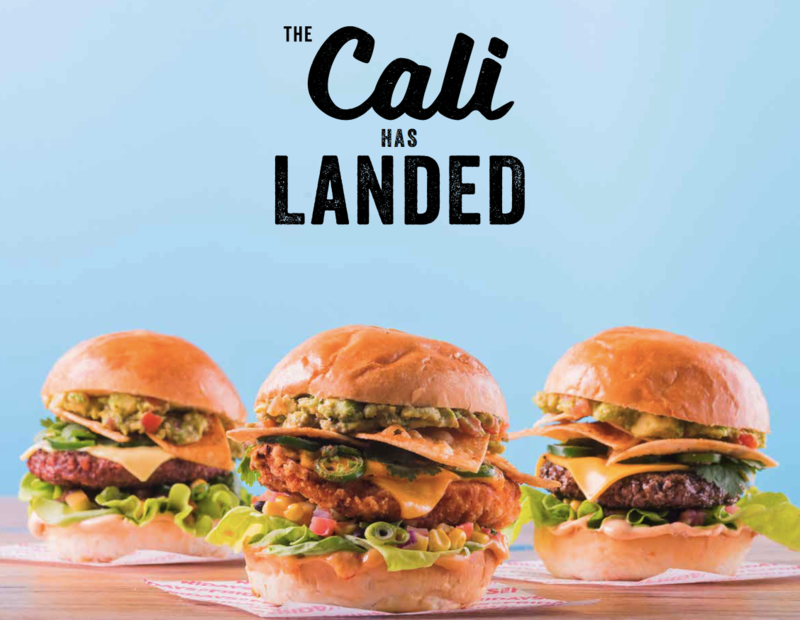 Cali RRP is $25.90 and comes served with shoestring fries and chipotle mayo or sriracha mayo with the vegan Cali. It is available half price on Mondays and Tuesdays with the purchase of any drink (dine-in only). Half price Cali is not available on Uber Eats or used in conjunction with MyFridays rewards, entertainment book or any other offer.